An international U-23 football tournament and a classical music concert come to Yangon this week. 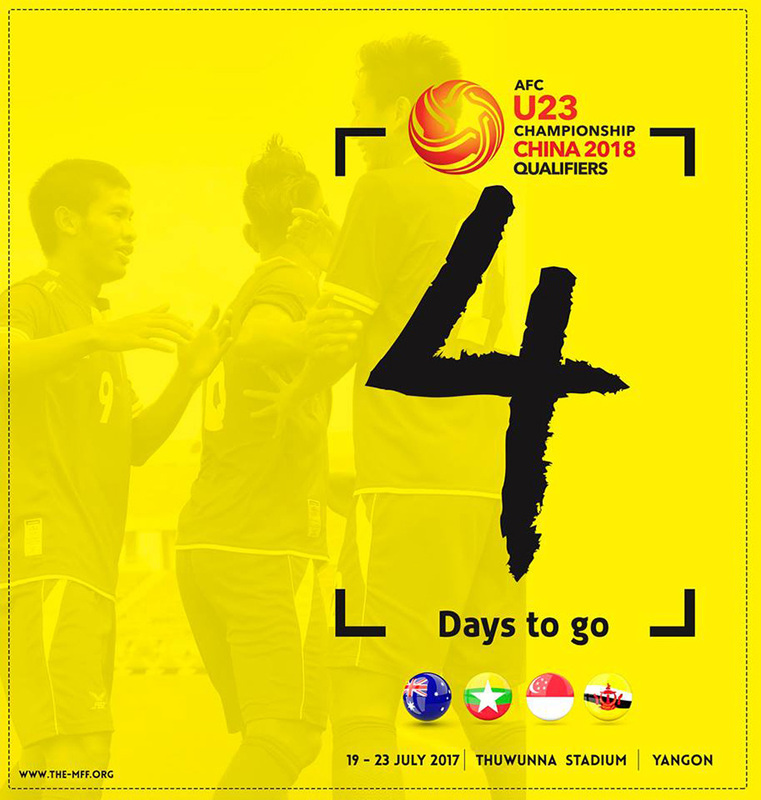 Myanmar’s U-23 men’s football team is in Group F, along with Australia, Singapore and Brunei in the AFC U-23 championship qualifiers in China. Myanmar will be playing against Singapore, Brunei and Australia on July 19, 21, and 23. All matches will be held in Yangon. July 19-23, 6:00 pm. Thuwunna Stadium. 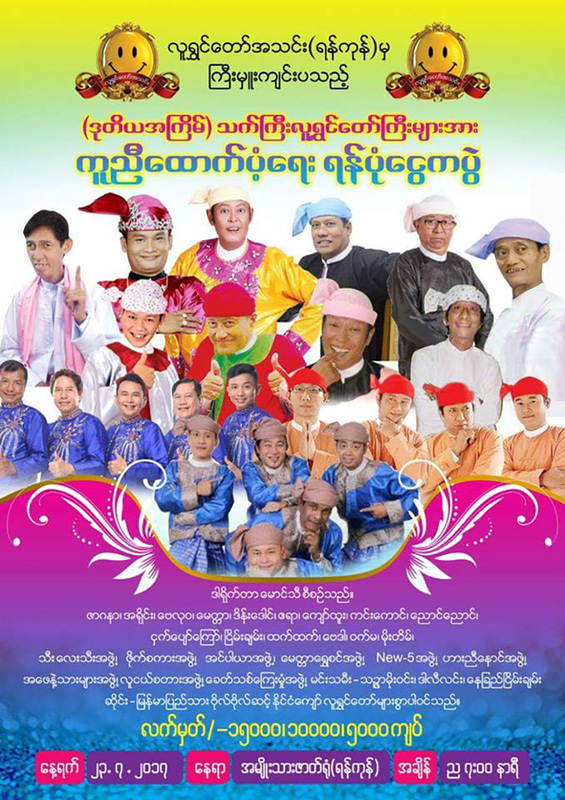 Advanced tickets at Hledan Center, Aung San Stadium and Thuwunna Stadium on July 18 between 10:00 and 5:00 pm. A total of 70,000 old books, priced between 200 and 500 kyats will be sold to mark the 70th Anniversary of Martyrs’ Day. July 19-26. 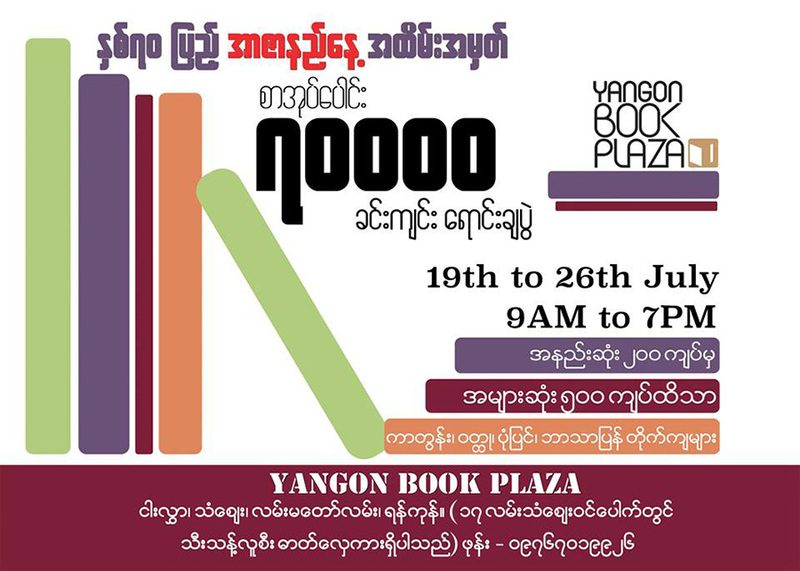 Yangon Book Plaza, Thazay Market. Celebrities will sell their own brands of cosmetic products alongside entertainment and games programs for visitors. July 18, 9:00 am – 10:00 pm, July 19, 9:00 am – 5:00 pm. Myanmar Convention Center (MCC), Mayangon Tsp. Free admission. 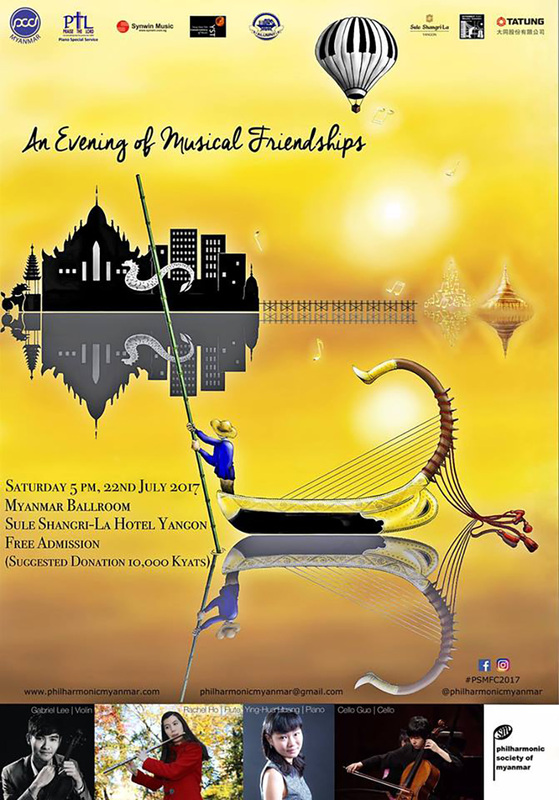 This concert features the music of Myanmar, Taiwan and Singapore, along with masterpieces from classical repertoire, and will be performed by the Philharmonic Society of Myanmar’s festival directors, artists and students, as well as renowned traditional musicians Myanmar Pyi Kyauk Sein (circle drum), Wai Phyo Naing (traditional harp) and Zin Min Htike (traditional flute). July 22, 5:00 pm. Myanmar Ballroom, Sule Shangri-La Hotel. Free admission. Families and fans of late celebrated actor Dway will organize a memorial service to mark the tenth anniversary of his death, selling his clothes, paintings and personal items. Proceeds will be used to renovated pagodas and religious buildings built by the actor. July 21, 4:00 pm. Hledan Center. 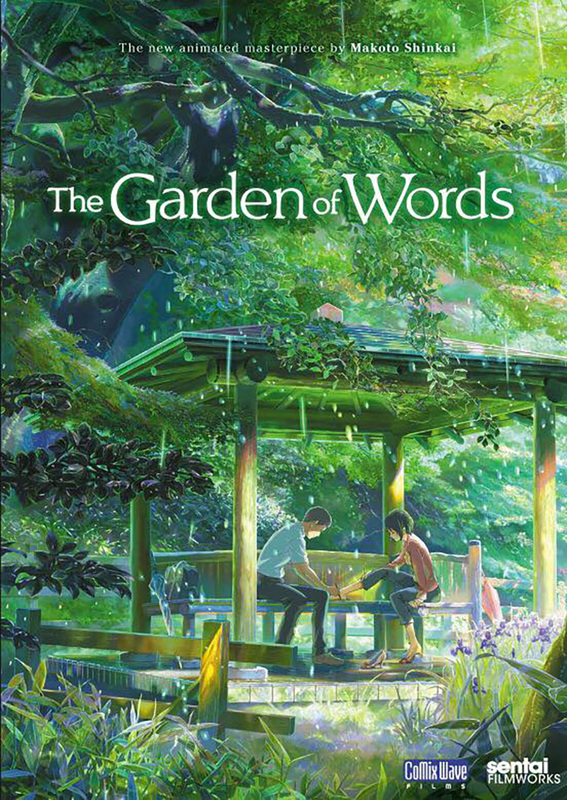 An anime film directed by Japanese director Makoto Shinkai, the “Garden of Words” will be screened. July 21, 6:00 pm – 7:00 pm. Japan Culture House, Room 322B, 2nd Floor, Building C, Pearl Condo, Kabaraye Pagoda Road. Free admission. Dozens of comedy groups will entertain at charity show to raise funds for veteran comedians. July 23, 7:00 pm. National Theater. Tickets between 5,000 kyats and 15,000 kyats. 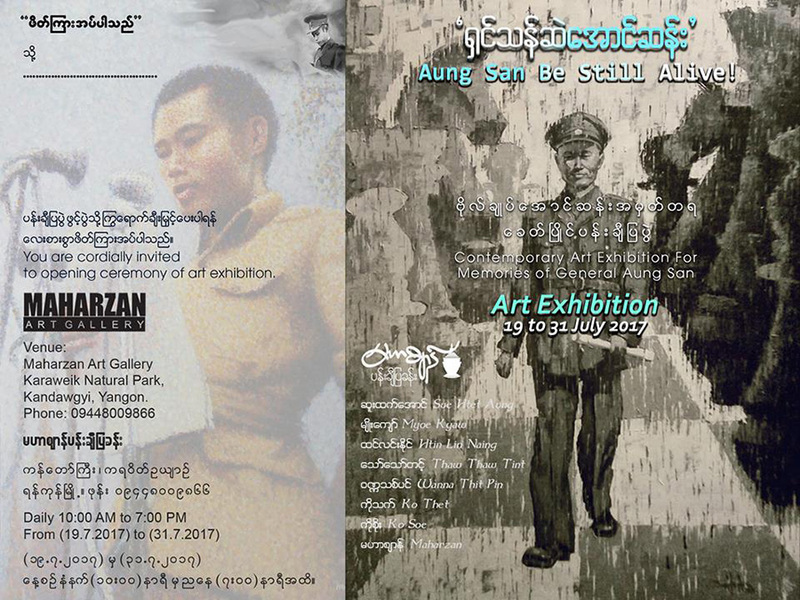 A group exhibition by nine artists will showcase 21 paintings depicting Gen Aung San, the independence hero of Myanmar in his struggle for the country’s independence. July 19-31. Maha Zan Art Gallery, Kandawgyi Park. 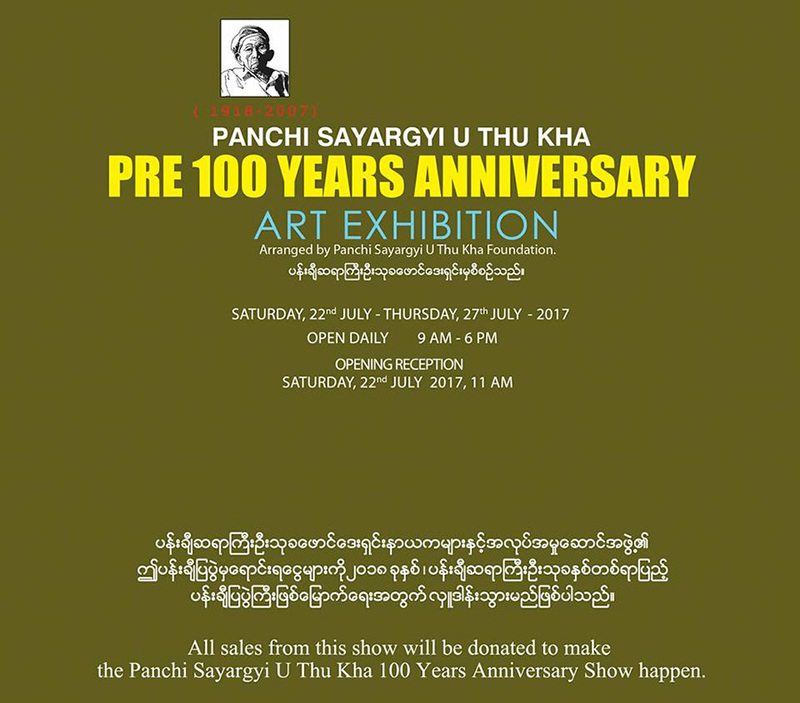 A group art exhibition to mark the centenary of late versatile artist U Thu Kha will be held at New Treasure Art Gallery. July 22-27, New Treasure Art Gallery, No. 84/A, Tha nlwin Street, Golden Hill Avenue, Bahan Tsp. 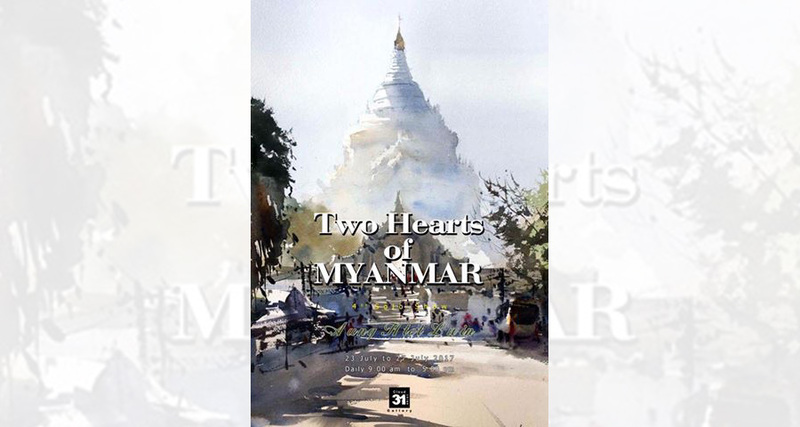 Artist Aung Htet Lwin’s solo exhibition will showcase paintings depicting watercolor landscapes and pagodas and stupas in Yangon and Mandalay. July 23-27. Cloud 31, No.49/51 (first floor), 31st Street (lower block) between Merchant Street and Maharbandoola Street.